2Go Travel Promo - SuperFerry Promo 2019 to 2020: Superferry Promo 2013 for P2 Only! Superferry Promo 2013 for P2 Only! 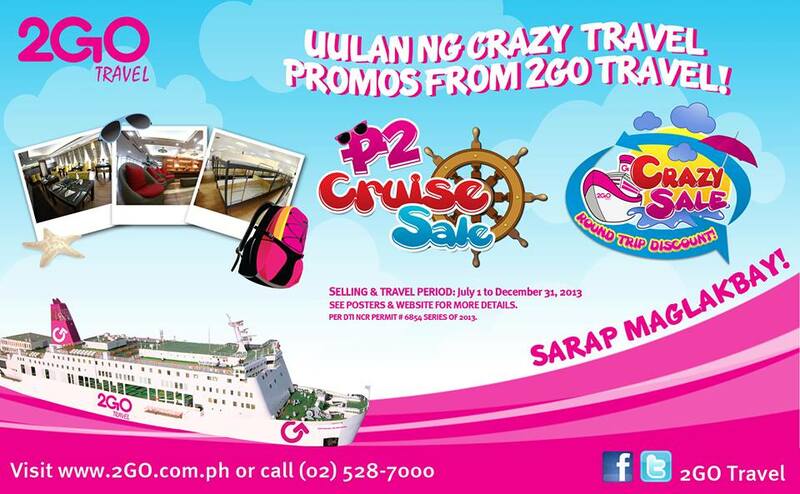 Grab our P2 Cruise Sale Promo every 2nd and 22nd of the month from July to December. For more information, call us at (02)528-7000.
gud pm! ask lang kung available po yan sa lahat ng ticketing office nationwide? ask ko lng poh kung available ang 488 nah promo nyo poh? availble poh vah lahat yan xa ticketing outlet nationwide?